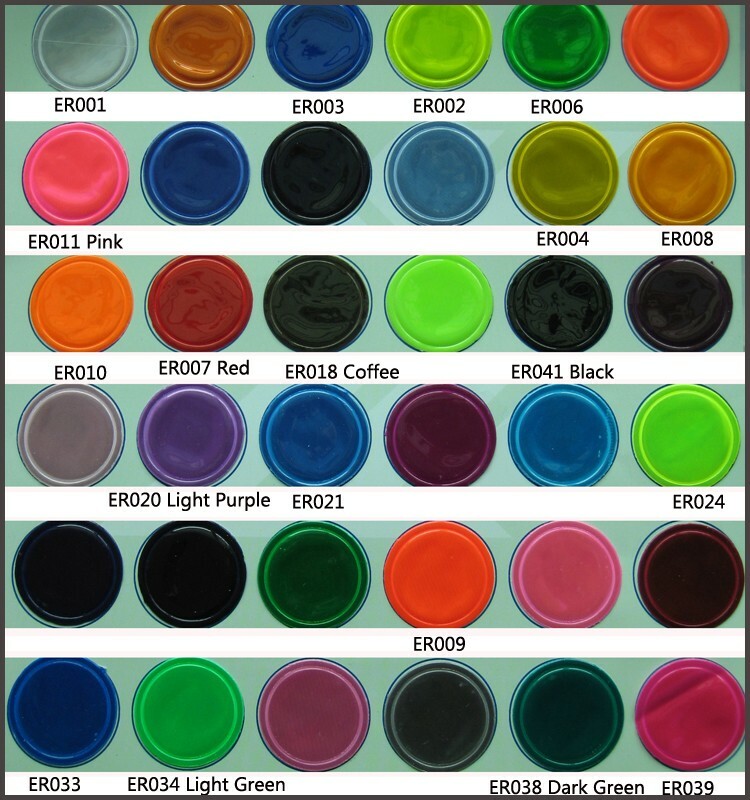 Application: for helemt,bags ,motorcycle etc. Q:What service u can supply for clients? 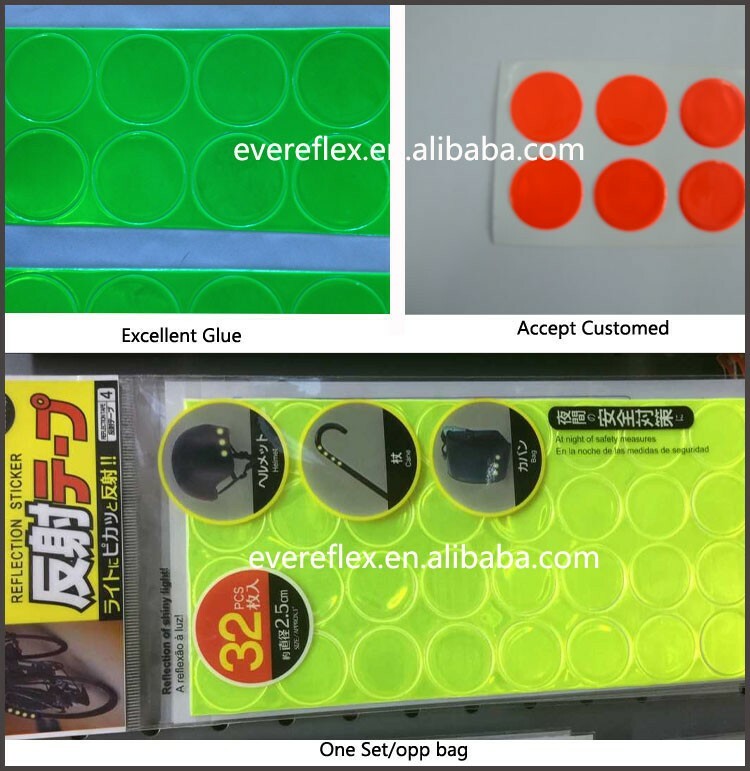 Q:How can u guarantee u product quality? 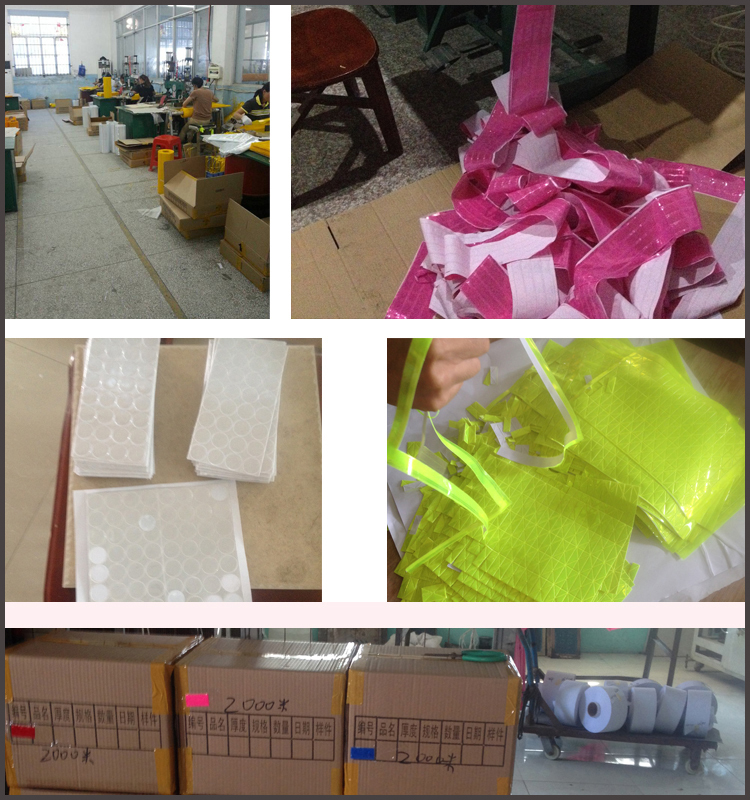 During Production,we have strict quality assurance on product. 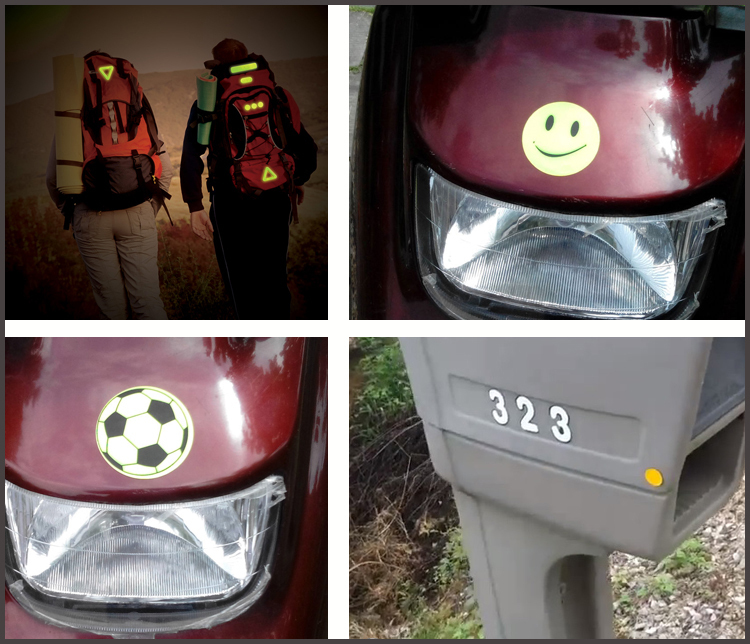 Q:Reflective dot stickers Samples for free or not? A:We supply free samples,but clients pay freight cost. Q:When happen to quality problem,how do u solve for clients? 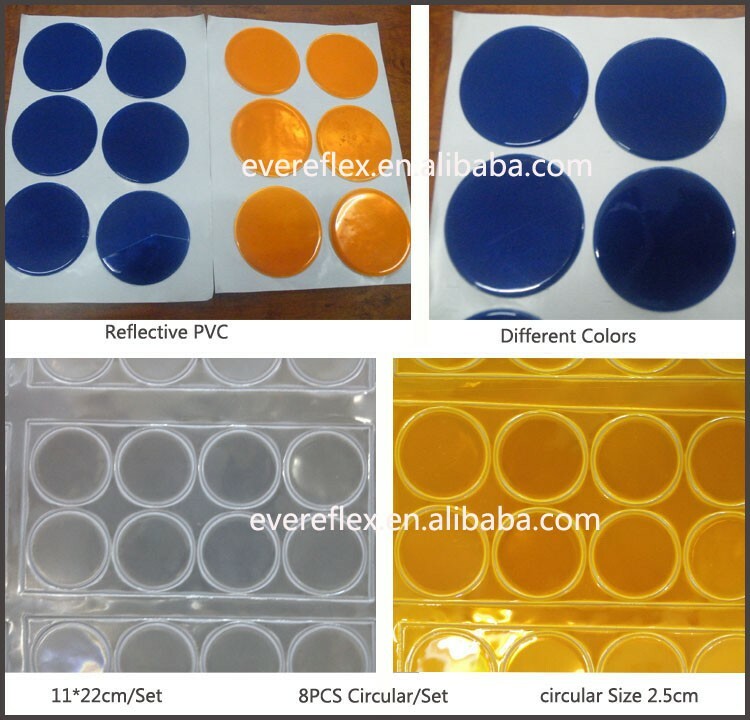 A:Clients supply pictures and small samples for production department. Q:What is u competitive advantages?A:Our salespeople have experience in foreign sales more than 6years. 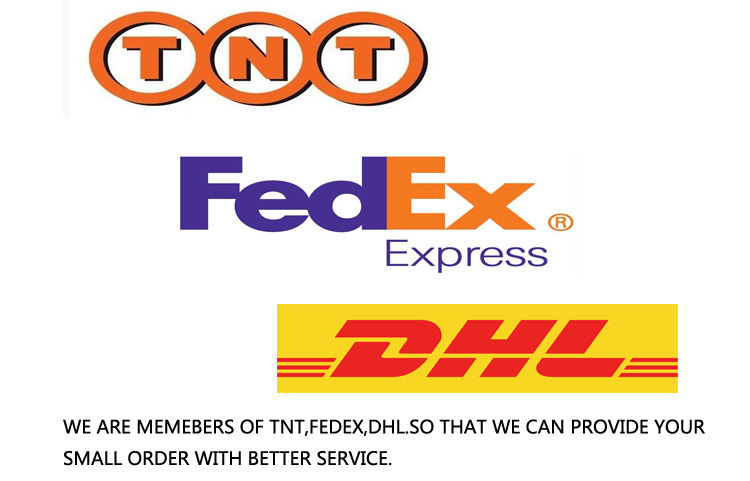 We are members of TNT,DHL,FEDEX.We can provide u small order better service.